UPDATE: This was rescheduled from Feb. 6 due to bad weather. 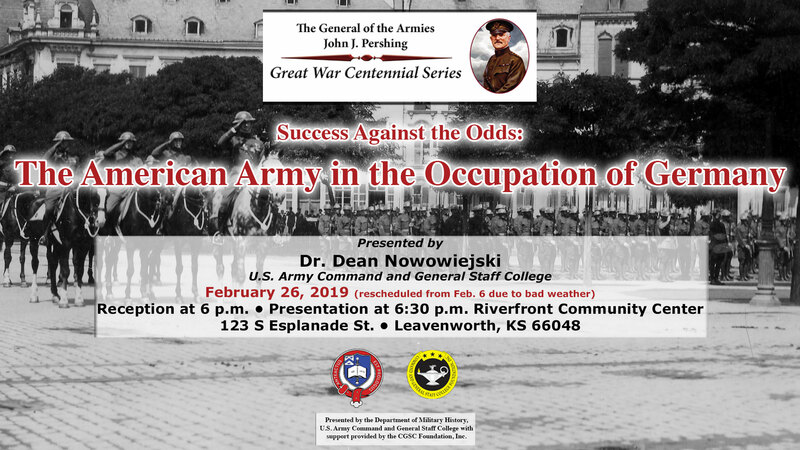 The American Army in the Occupation of Germany,” at the Riverfront Community Center in downtown Leavenworth, Kansas (123 S Esplanade St.), Feb. 6 Feb. 26, at 6:30 p.m. Attendees are also invited to the reception that begins at 6 p.m. The United States Army’s experience in WWI did not end with the Armistice. Almost a quarter million Doughboys of the Third Army marched from France into Germany to the Rhine River in December 1918. Part of the Allied occupation force, Americans served under a very capable military governor, Maj. Gen. Henry T. Allen, eventually the American representative to the Interallied Rhineland High Commission. Dr. Nowowiejski’s presentation will explain how the Third Army soon became the American Forces in Germany, and what those officers and soldiers did over four years of time in occupied Germany after World War I.
Dr. Dean Nowowiejski is the Ike Skelton Distinguished Chair for the Art of War at the U.S. Army Command and General Staff College (CGSC), Fort Leavenworth, Kan. He has directed the CGSC Art of War Scholars program for the last six years. Nowowiejski served in the armor branch of the U.S. Army, retiring as a colonel with 31 years of commissioned service and command through brigade level. His doctoral dissertation from Princeton University compared the performance of the American military governors of Germany after World War’s I and II. This presentation covers insights from his forthcoming book on the American occupation of the Rhineland from 1918 to 1923. The CGSC Department of Military History hosts the General of the Armies John J. Pershing Great War Centennial Series with support from the CGSC Foundation. The lecture series is intended to foster understanding of this world-changing conflict during its 100-year commemoration. 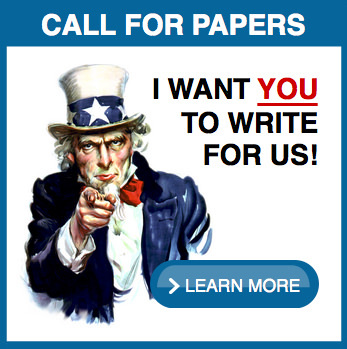 More than any other single event, World War I was the decisive, shaping experience of the Twentieth Century. It was a brutal war that brought down four empires, led to revolution in Russia, and eventually brought the United States onto the world stage as a major power. We live with its results to this day. 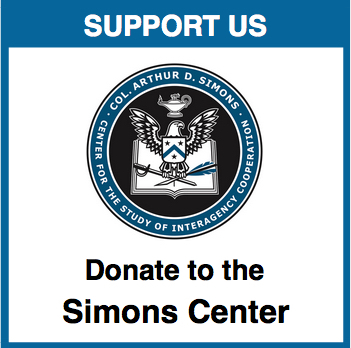 The CGSC Foundation has received support for all Pershing lectures in academic year 2019 from First Command Financial Services in Leavenworth, Kansas. All lectures in the series are free and open to the public. For more information on this lecture series contact contact Rod Cox, email– rcox@cgscf.org, or phone 913-651-0624.